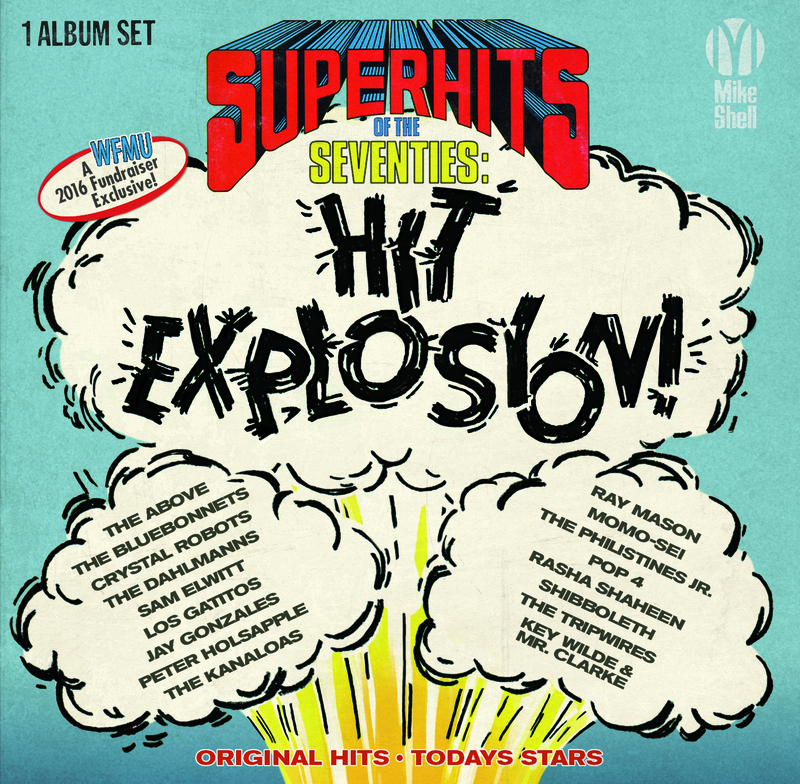 WFMU's SUPER HITS OF THE SEVENTIES VOLUME 6: SUPER HIT TSUNAMI! 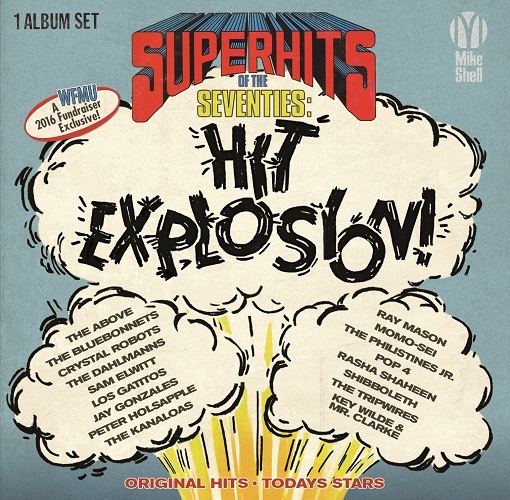 Font size="+1" Font size="+2" Font size="+3" Font size="+4"
SUPER HITS OF THE SEVENTIES VOLUME 6: SUPER HIT TSUNAMI! 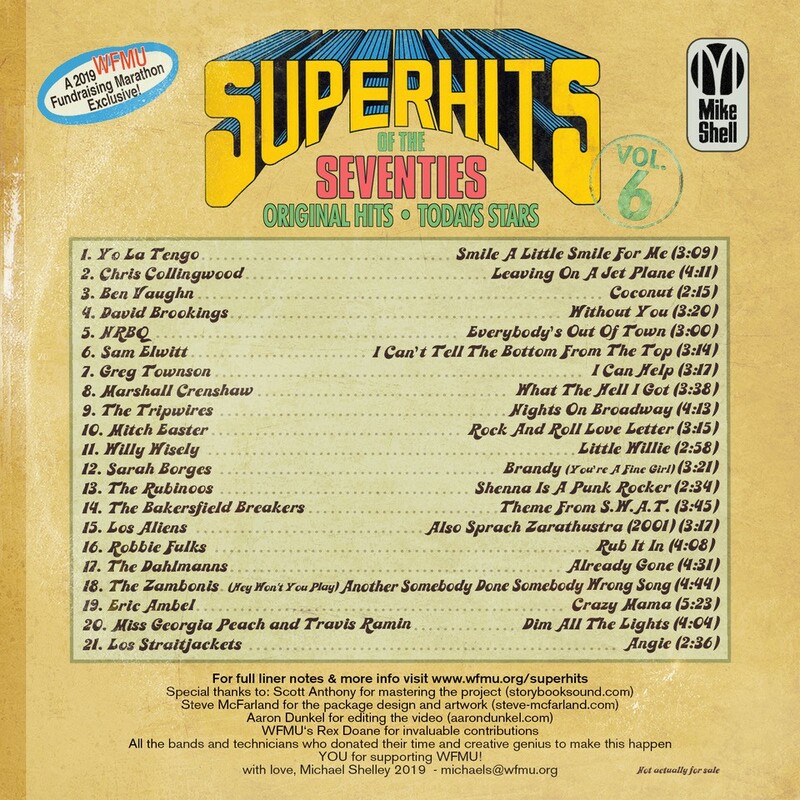 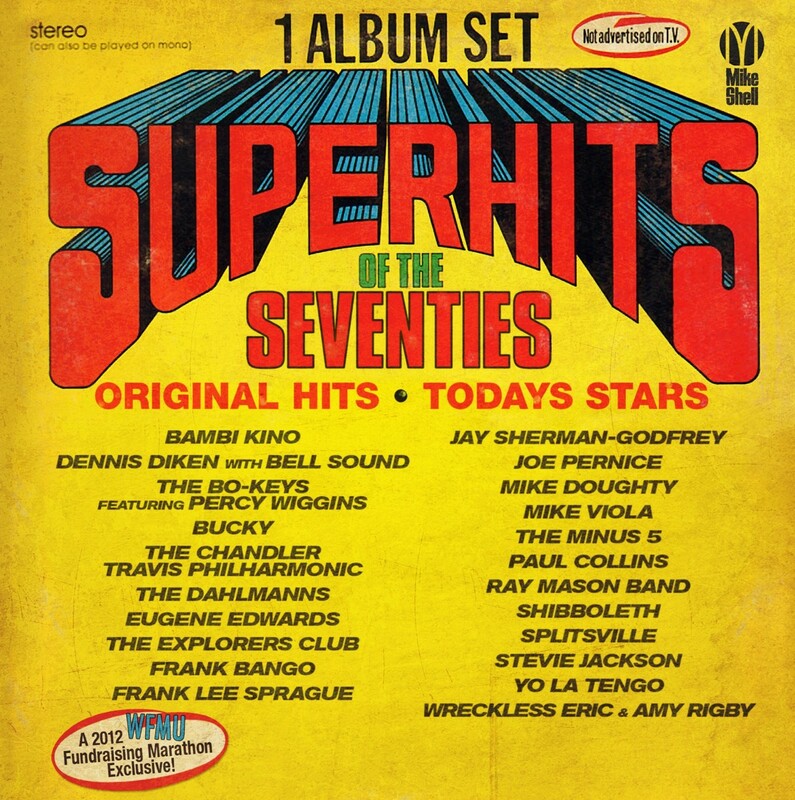 This amazing collection has 21 guaranteed #1 hit songs from some of the greatest music makers of today covering top forty hits of the 1970s - and each one has been recorded EXCLUSIVELY FOR THIS COMPILATION! 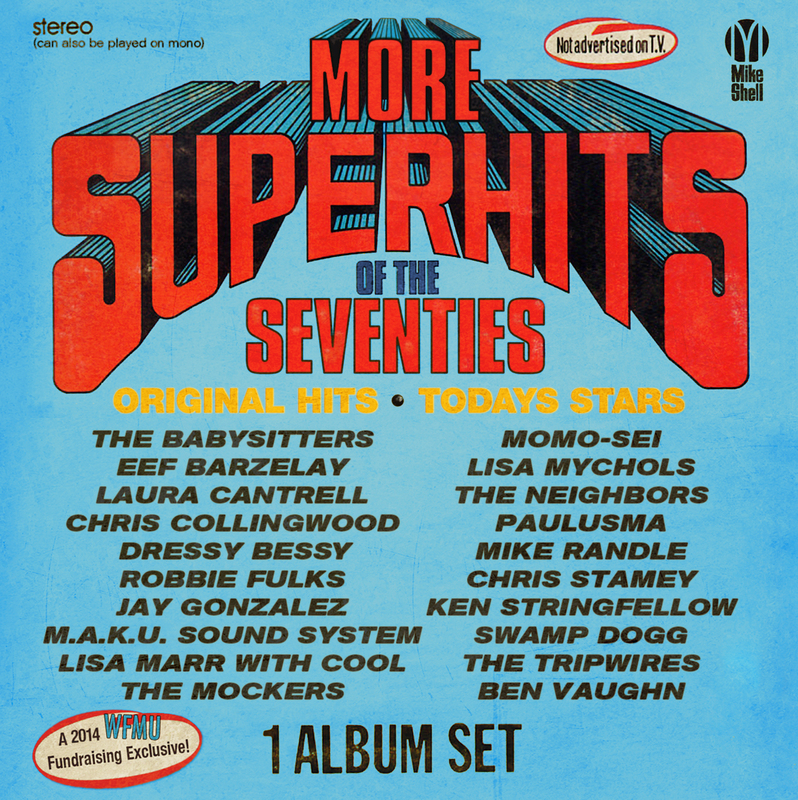 YES - All of these recordings were created just for the 2019 WFMU fundraiser and are available ONLY with a pledge to WFMU! 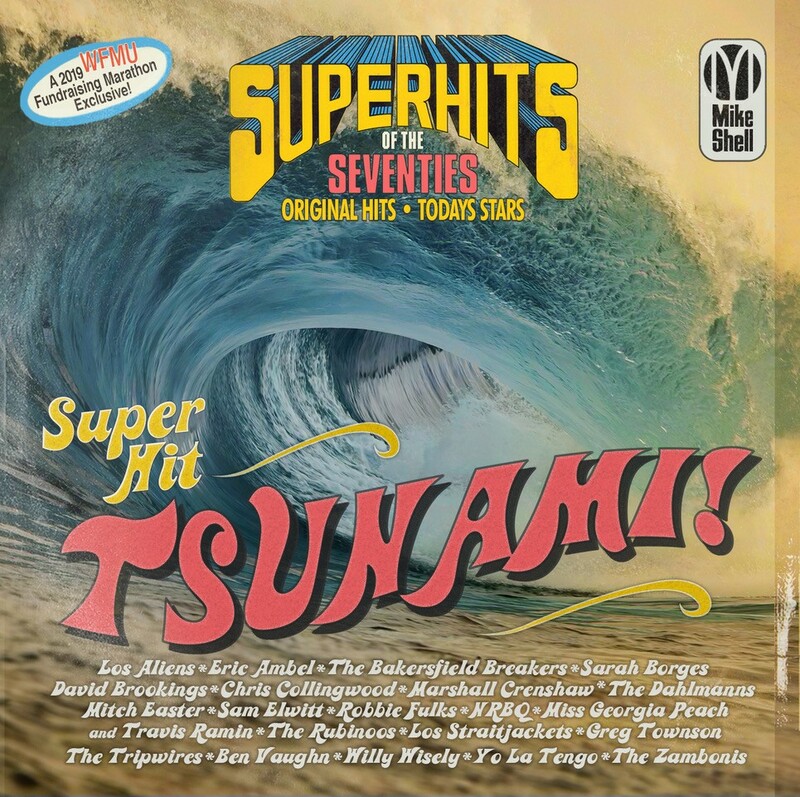 "SUPER HITS OF THE SEVENTIES VOLUME 6: SUPER HIT TSUNAMI!" 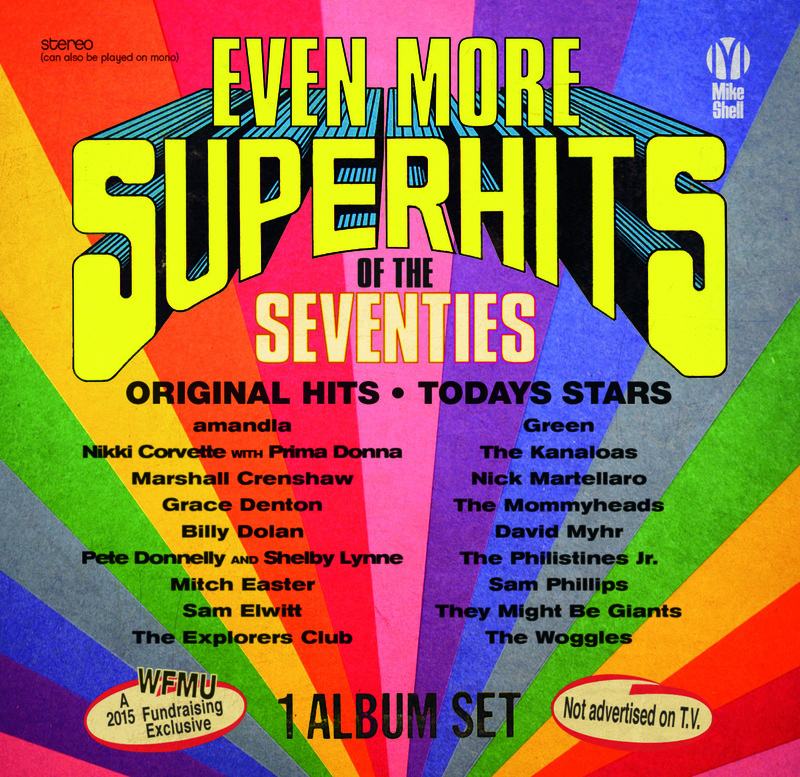 will be available only during our fundraiser: March 3rd through March 17th, 2019! 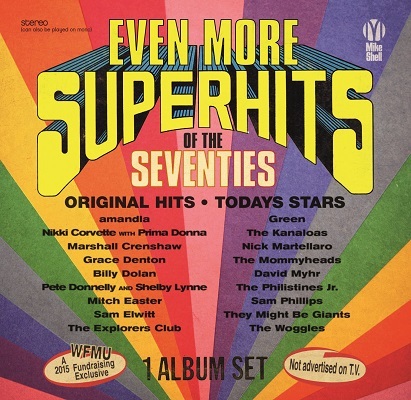 CLICK HERE to read or download the 14 page liner notes to "SUPER HITS OF THE SEVENTIES: SUPER HIT TSUNAMI!" 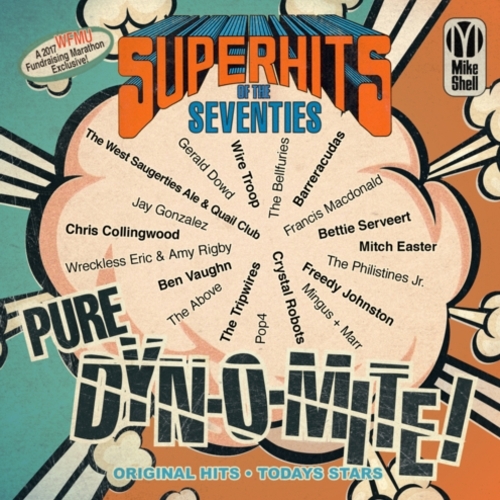 CLICK HERE for information on the fifth volume in this series "SUPER HITS OF THE SEVENTIES: PURE DYN-O-MITE!" 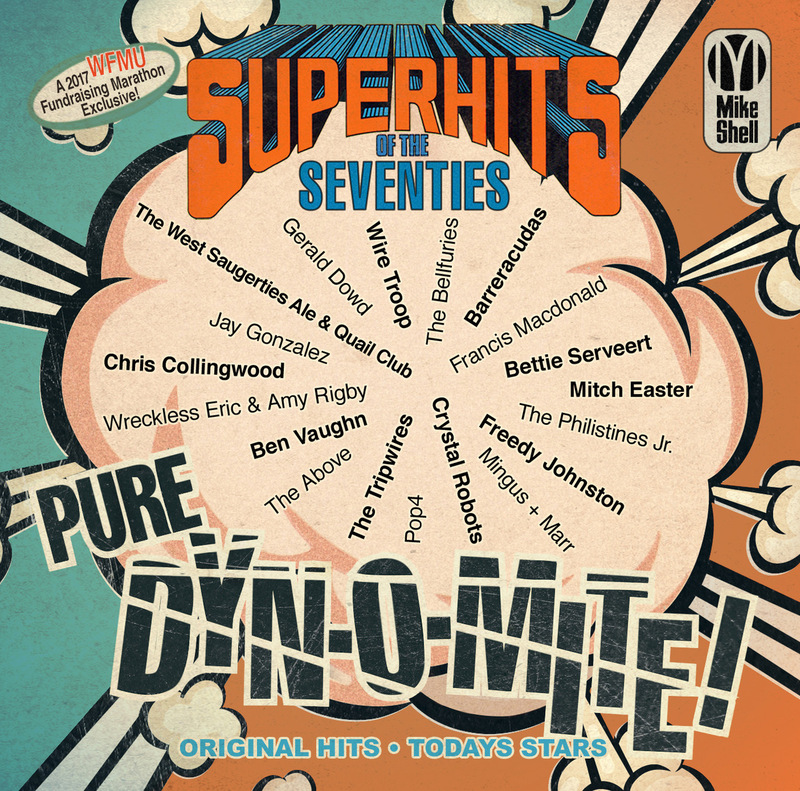 -You for your pledge to the 2019 WFMU Fundraiser!